The modern retail industry has seen umpteen experiments over the last decade. Most have failed. Even the retail king, Kishore Biyani of Future Group, has admitted to making several mistakes, especially his aggressive expansion, for which he had to sell his most profitable retail venture, Pantaloons, to the Aditya Birla Group. Similarly, Mukesh Ambani has made innumerable tweaks to Reliance Retail's business model, and still continues to do so. Amid this action, and confusion, one man, stock market investor Radhakrishna Damani - mostly unnoticed - went about making some of the most astute moves in business with his food and grocery retail company, Avenue Supermarts, better known as DMart. The result was that unlike peers, DMart became profitable within the first three years of starting operations in 2002. It is, in fact, the most profitable Indian retail company. Its revenue has risen over 40 per cent since 2011/12 to `8,800 crore, while net profit has risen over 50 per cent to `387.5 crore. This when its peers were bleeding and neck deep in debt. The company, and its investors, have been handsomely rewarded for this feat. The stock made a stellar debut in March, rising 114 per cent over the issue price of `229 on the first day. The market valued the company at `40,000 crore; all other retail companies put together are valued at `20,000 crore. So, what has Damani done differently than the rest? Several things, it turns out. Ashok Maheshwari, former executive director at DMart at present the CEO of infrastructure company Avenue Group, says DMart did not depend on disruptive gimmicks or innovations but abided strictly by the rule book of retail. While his peers chased growth, Damani focused on cash flow and profitability. And that strategy has made him the most valued retailer in India. "The discipline has been meticulously followed," he says. Damani, known as a man with a midas touch in stock markets, has always been orthodox in investment choices. He, says a senior stock broker, has always bet on safe sectors such as FMCG and logistics, which have long-term value, and stayed away from even sectors such as IT and ITeS. "R.K. Damani is an astute investor who has a long-term vision. It's not just the stock market. He has also made smart investments in the property sector that have given him high returns. He has followed a similar model in retail," says veteran stock market investor Arun Kejriwal. Damani brought this conservatism to the retail business too. To begin with, he avoided aggressive expansion, a strategy that all his peers followed. While the first store came up in Thane in 2002, by 2012, DMart had all of 55 stores (at present, it has 110 stores), predominantly in Maharashtra and Gujarat. By then, competitors such as Big Bazaar and Reliance Retail had more than 200 stores. Also, the company, Avenue Supermarts, owned the stores. This was different from the strategy of competitors, which were paying huge rentals for leased properties. Rentals account for over 30 per cent cost in retail. "Mr. Damani's philosophy was to own the property so that he could sustain himself," says Maheshwari. 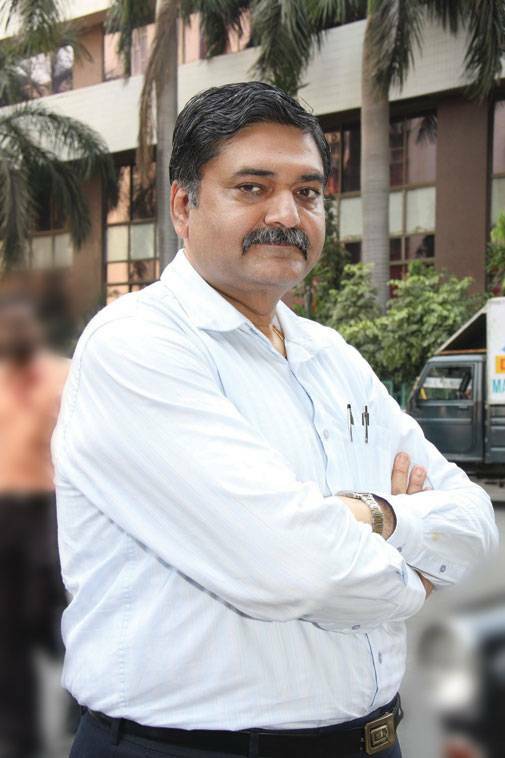 "This slows you down but has advantages in the long run," says Neville Noronha, MD & CEO, Avenue Supermarts Ltd.
DMart also stayed away from malls and expensive high streets and set up stores in crowded residential areas. The idea was to be an alternative to the local kirana store. Doing this enabled Damani to keep operational costs down by almost one-third. An admirer of Walmart Founder Sam Walton, Damani religiously followed Walton's vision of offering consumers what they want at a price that is much less than what is available in the market. The biggest strength of Damani, says Maheshwari, has been buying. "He always had the ability to buy the right kind of merchandise at the right price. He approached buying from the consumers point of view." Also, he has been stringent about volumes, ensuring inventory turnover time of less than 30 days (competitors typically work on a 60-70 day window). "In 2004, DMart, with only three stores, was at 30 days or thereabouts. Every single year, from thereon, we have been around 30 days. It's a factor of multiple things, most of all our unwavering discipline and focus," says Noronha. So, if one visits a DMart store, one can be sure that it will be well stocked, but with limited brands. While a Big Bazaar, for instance, would offer a variety of national, international as well as local brands, DMart would probably have three-four strong national brands. Maheshwari says Damani's intent clearly is to run stores that are able to meet the basic needs of consumers. "Stocking a plethora of brands or SKUs (stock keeping units) only adds to confusion and leads to larger inventory turnaround time, which isn't good for the retailer." Govind Shrikhande, CEO, Shoppers Stop, lauds the DMart model and says it has been created using common sense. "It is a market model that has been created after understanding what works with the market and consumers." Shraddha Gupta, a housewife who lives in a western suburb of Mumbai, agrees that Damani's stores are a good alternative to the neighbourhood kirana store. Gupta says D'Mart is her sought-after destination for grocery shopping, as not only does she get good discounts (DMart offers a 5-6 per cent discount on food and other FMCG products as opposed to the 1-2 per cent discount that other modern retailers offer), the quality of the food products is also superior. "If you buy a product such as branded ghee or any other food item from DMart, it is invariably freshly manufactured, as opposed to other retailers, which sell products approaching expiry date," says Gupta. 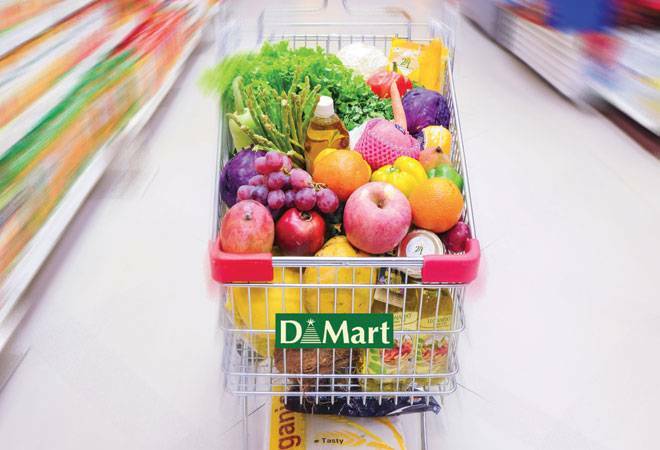 The strategy of having a shorter turnaround time is obviously working to DMart's advantage. "The single defining reason we are able to do what we are doing is that our cost of doing business is the lowest. That has always been so and will be the single most important agenda for the business to survive and thrive," says Noronha. One of the reasons the value retailer is able to pass on better prices to its consumers is its obsession to pay suppliers within a week of the purchase. Most retailers work on a 30-day credit window. Damani, says Maheshwari, always encourages payment on the day of delivery. "If payments are made instantly, the distributor not only gives better cash discounts but also services the retailer much better than others," he says. 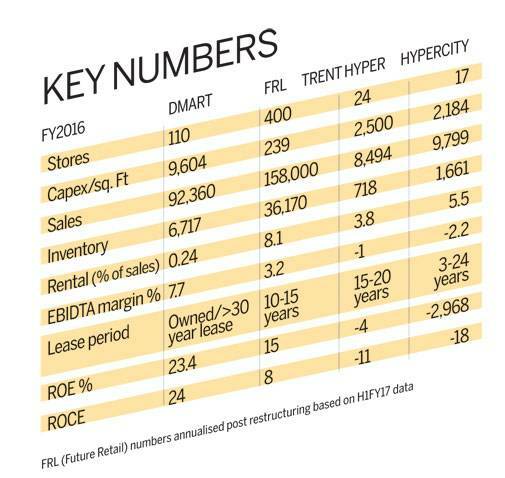 While there is no doubt that DMart has got its strategy bang on, the `40,000 crore valuation is clearly too high. The market has projected 40 per cent year-on-year growth. The current growth rate is 20 per cent. "To grow at 40 per cent year-on-year, the company will have to generate an additional turnover of `4,000 crore in the next one year and open at least 40-50 stores per year for the next three years. If they follow such an aggressive growth strategy, they will be tampering with their winning formula," says Arvind Singhal, Chairman, Technopak. Stock market investor Kejriwal agrees that the valuation is significantly higher than what the business deserves and has come on the back of Damani's credentials as a star investor. "To maintain this valuation will be a tough job," says Kejriwal, who also believes that Damani, a smart investor, is not the kind who will go out of the way to meet market expectations. "The valuation will eventually get corrected." 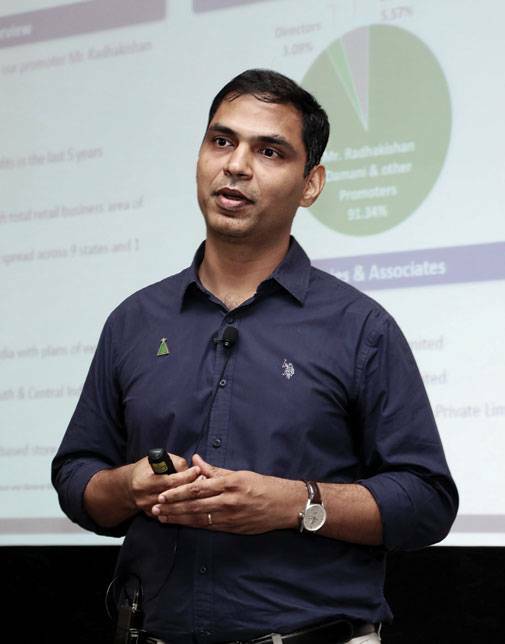 Though Rajat Wahi, Head of Retail Practice, KPMG, agrees that the `40,000 crore valuation is high, he also believes that the brick-and-mortar is finally getting its due in the market, which is good for the industry at large. But DMart and Damani can't afford to chase market projections. They should continue doing what they are good at, at their own pace. Blindly trying to meet market numbers could lead them to compromise on their philosophy.